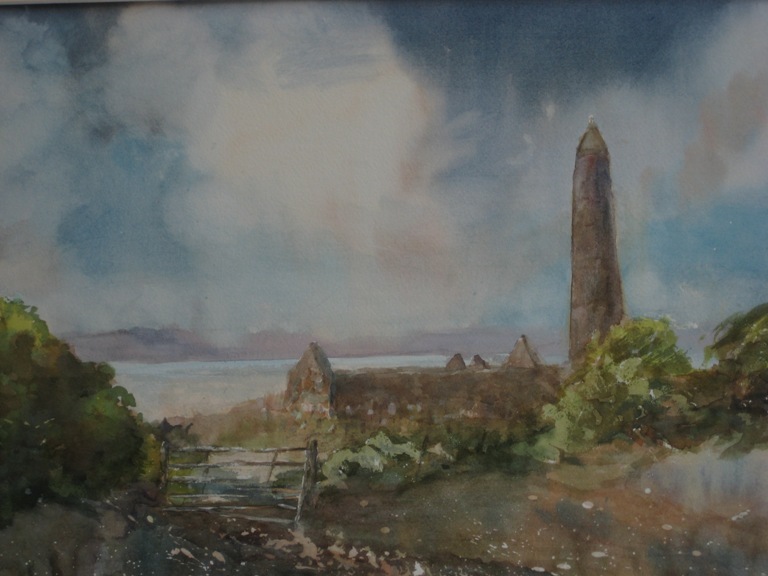 The Winter Exhibition by the Watercolour Society of Ireland, featuring 55 original water colours, was launched in University Hospital Waterford by Lord Burlington of Lismore Castle on Friday 14th November 2014. This marked the Watercolour Society’s second exhibition at the hospital. The links between the Watercolour Society of Ireland and County Waterford go back to the late nineteenth century. The Society was founded in 1870 in Lismore, Co Waterford, and in the following year held its first exhibition in the courthouse there. Since its foundation, there have been over a thousand members of the society, many of whom have made a valuable contribution to the history of Irish art and the promotion of works on paper. Many of the members of the Watercolour Society of Ireland attended the launch event in UHW.